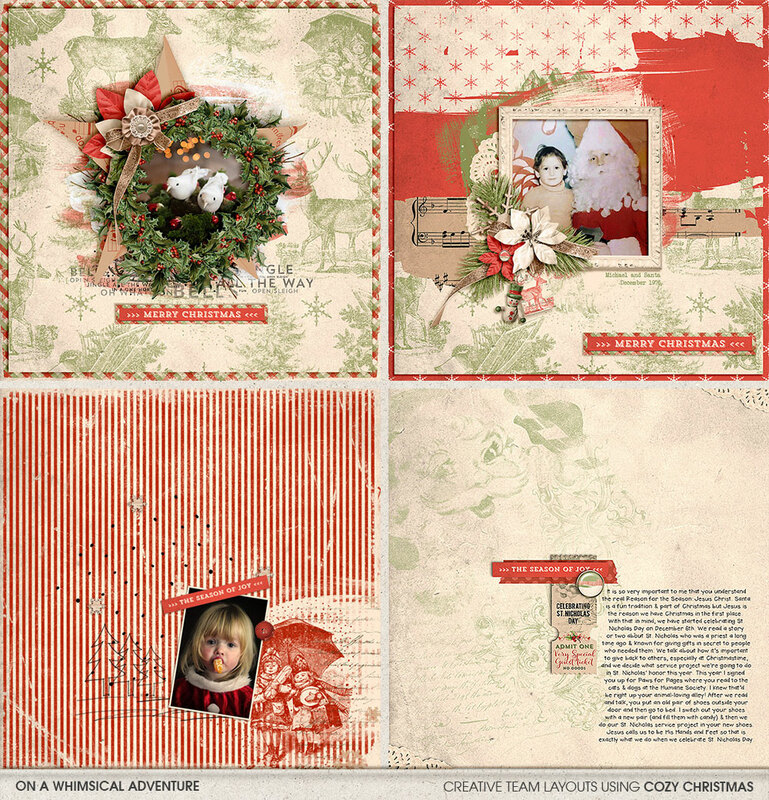 This fun set of brushes was designed to coordinate with the 'Cosy Christmas' digital scrapbooking collection. 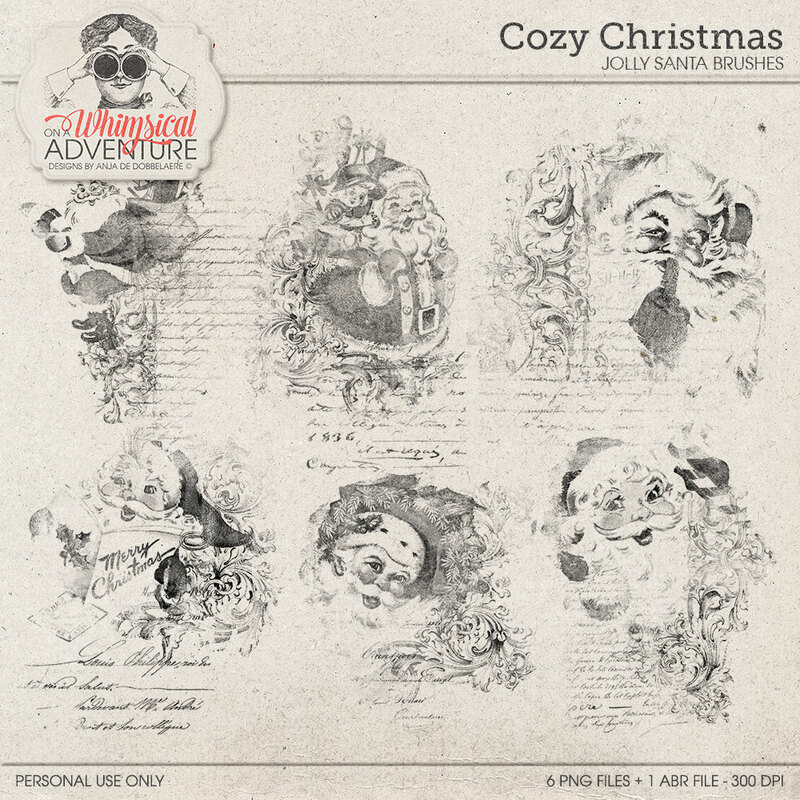 The brushes are made with a vintage jolly santa image, ornamental edging and vintage writing. They will make a great addition to your digital scrapbooking pages or any other (paper) craft project you have in mind. 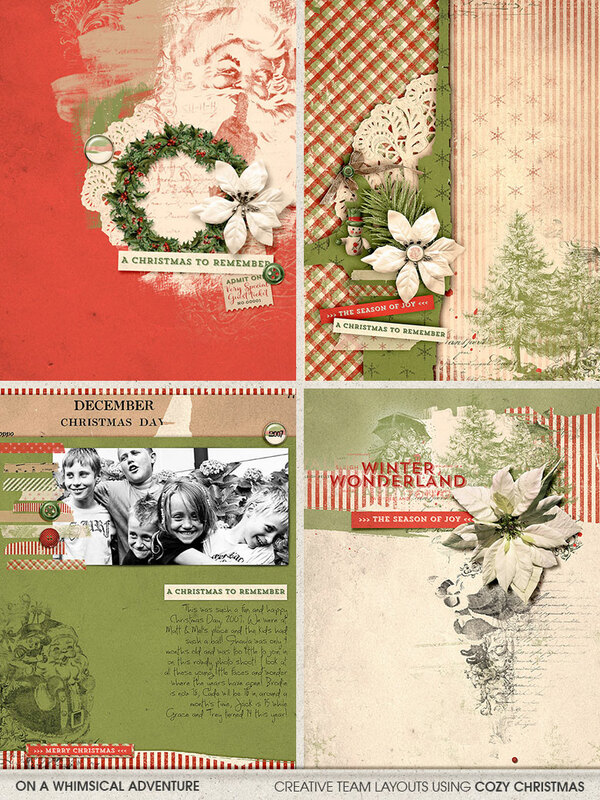 'Cozy Christmas' is a digital scrapbooking collection with a wonderful blend of traditional Christmas colors, vintage elements in warm reds, muted greens, and creamy tones combined with lots of artsy bits like paint and transfers. 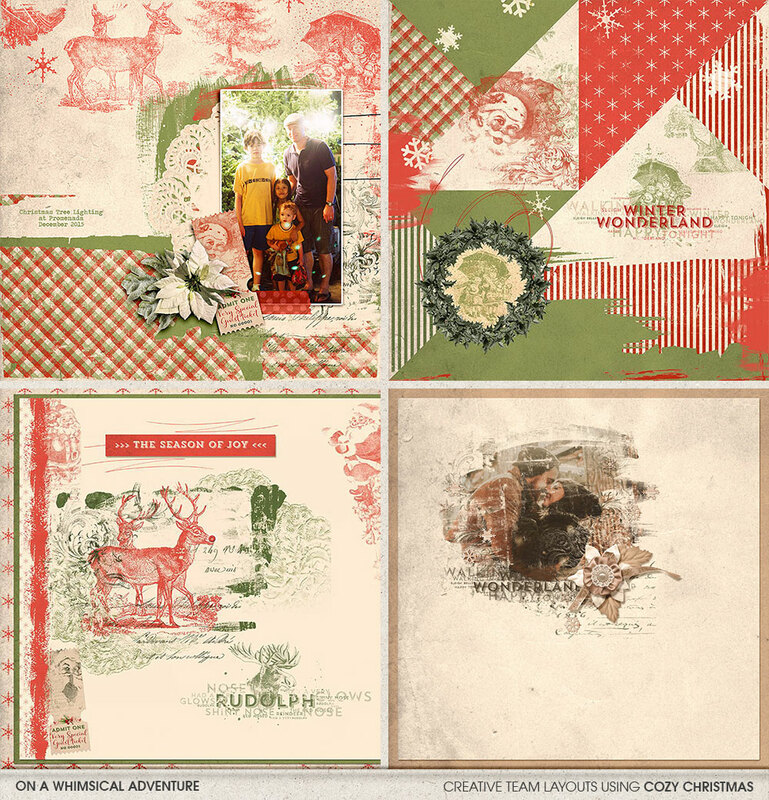 A delicate doily, a pair of deer, papers with a snowflake pattern, stripes, dots or plaid, the vintage Santa brushes, Christmas Carols Word Art and the cute Santa tickets... it all grants this gorgeous collection a feeling of coziness, the coziness that comes along with those magical Christmas days, when we celebrate with our families and friends. You will receive 6 PNG files, 300 DPI; size is between 2500 px high and 2462 px wide.